There are certain games that helped to define how computer games would be perceived for decades to come. Some of these games are still in the spotlight, lauded on best-of lists and the subjects of remakes and documentaries. Other games, however, don’t get quite the same amount of love. One game series that really did revolutionize video games is The Bard’s Tale, an early RPG series. While it shared space with games like Wizardry and Ultima, it never seems to be mentioned in the same breath. The universe of the game is fantastically constructed, though, extending past video games and into the realm of novels. Let’s dig in, shall we? The Bard’s Tale was one of the earliest true RPGs released on the PC, greatly pushing forward the boundaries of what people could consider a game to be. It boasted a unique graphical interface and a compelling main character – both things that weren’t par for the course in the 1980s. The Bard’s Tale was definitely influenced by other games, but it did its own thing in many ways. It was the culmination of years of development, but it was also the first step along the way to a better type of RPG gaming. This is game was quietly revolutionary, and deserves its spot as one of the most important PC games ever released. In many ways, The Bard’s Tale has a plot that seems almost trite by this point. It feels this way, though, because this is truly one of the games that established the conceits of the genre. While the plot itself is relatively light, it is still incredibly engaging for the time in which it was released. Given that most of the games that would become competition for the series were still a few years away from reaching truly useful iterations, it’s fair to consider the plot of this game foundational. The plot, such as it was, concerned the player forming a party of Adventurers in the town of Skara Brae. The characters are a band of freedom fighters attempting to overthrow the dark wizard Mangar the Dark. 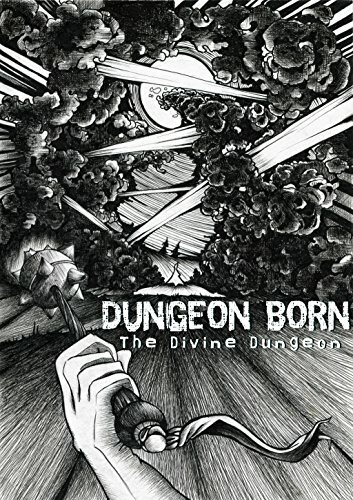 Of course, this is really just an excuse for said adventurers to gallivant through a series of dungeons, level up, and take on more and more powerful foes as the game goes on. Unlike many games in the genre, the plot of The Bard’s Tale takes players through an interconnected series of dungeons. The only place where the game can be saved is in the Adventurer’s Guild. Beyond that, everything is basically the game world of Skara Brae. There’s an overworld town, but most of the game takes place in the dungeons. The game sends players through the wine cellar of a tavern (which would grow to be a gaming cliche), then to the sewers, the city’s catacombs, and ultimately through a castle, tower, and the villain’s lair. There are no major twists or turns in the plot, with most of the story being driven by the necessity of leveling up the adventuring party. Most roadblocks are in terms of either difficulty or finding particular hidden items that can let the party pass. The gameplay of The Bard’s Tale is incredibly straight forward. There are no particularly unique mechanics here, nor are there any systems that would surprise today’s players. In fact, you can consider this the prototypical CRPG. A good number of the systems would be adapted or lifted directly from this game, allowing players who were familiar with The Bard’s Tale a chance to jump into other games with a bit more comfort. At the beginning of the game, players are allowed to create six characters from fairly standard role-playing classes. There are bards (of course), hunters, monks, paladins, magicians, rogues, and conjurers. Depending on the platform of play, players could also import characters from Wizardry or Ultima III. The most important character by far, though, was The Bard. Bards could buff the party with their songs and help with the survivability of the party. There were also certain puzzles that could only be solved if the party had a Bard. As such, almost all adventuring parties would have a Bard with them – even if they didn’t necessarily need him for more than solving those impassable puzzles. There were two unique features that didn’t tend to make the jump to future RPGs. The first was the fact that there was no dungeon map – if players wanted to keep track of what had been explored, they would have to do so with a pencil and paper. Players were also required to type in their magic spells, which could only be found in the game’s manual. This functioned as a kind of digital rights management, as the game would be significantly harder for those players who didn’t have access to magic of any kind. Beyond the unique features, The Bard’s Tale followed a fairly standard round-based system. If players won the encounters, they would become stronger. Losing, of course, could lead to the death of characters. Not fun, but it made it exciting. Michael Cranford is usually thought of as the primary driving force behind the original The Bard’s Tale game. He developed the concept of the game, along with the basic programming and concept of the game. It was very clear that the game was highly influenced by Wizardry, as those who could important characters from the former game were easily able to attest. Cranford was not, however, the only mind behind the game. Brian Fargo, who founded Interplay, would do a great deal of the design work for the game. David Lowery would be the primary graphical designer, and Lawrence Holland would be responsible for the all-important music of The Bard’s Tale. Together, they put together a game that was unprecedentedly deep and beautiful for the time. There’s at least some degree of controversy surrounding the final product of the game. According to some, Cranford held the final copy of the game hostage until Brian Fargo would agree that credit for the sequel would go to Cranford alone. Cranford disagrees with the assessment, saying that he withheld the final product until an agreeable contract could be written. In either case, the development of the game was slowed down at least a bit due to contract concerns. Cranford would leave the series after the second game, though he and Fargo would end up reconciling in the future. The general distrust engendered near the end of the game caused Cranford to leave game design entirely, though he did seem to be in contact with the rest of the time by the late 2000s. One unique bit of the development of the game is the high degree of influence of Christianity in the game. Jesus Christ is named directly in the game, which is uncommon in RPGs. The names of the cities are also largely taken from the New Testament – something that was contributed directly by Cranford. The Bard’s Tale was incredibly well received, and thus the recipient of many different awards. While most of the ‘big’ computer gaming awards did not yet exist at the time of the game’s development, it was nonetheless lauded in computer gaming magazines and by the public at large. Perhaps the most impressive claim of The Bard’s Tale is that it is the best-selling RPG of the 1980s. This puts it ahead of not only Ultima and Wizardry, but also D&D’s Gold Box games. At 407,000 copies, it sold an unprecedented number of games at a time when gaming was very much a niche hobby. The game was also one of the original entries in the Computer Gaming World Hall of Fame, largely based on its consistently high review scores. While the number of games in the Hall of Fame has grown exponentially since, this was an incredibly rare achievement at the time. Beyond these somewhat more official awards, The Bard’s Tale was rated very well by nearly every computer gaming publication in the 1980s and early 1990s. 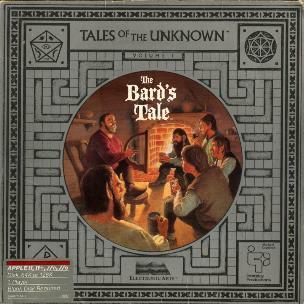 It is widely considered to be one of the best early examples of the genre and many game designers point at The Bard’s Tale as a direct influence upon their games. Sequels followed The Bard’s Tale fairly rapidly, which seems like a given due to the success of the original game. Michael Cranford was only involved with the second game in the series, but the universe did continue to grow for some time after the initial release. The releases of the game coincide with the golden age of computer RPGs. It’s important to note that The Bard’s Tale games are limited to six games discussed here. There was another game released in the early 2000s, but it was a sequel in name only. The series itself largely remained dormant throughout the 1990s and well into the 21st century. Destiny Knight took the original game and expanded it into a much larger world. Instead of featuring one small town, it featured several cities. The combat was tweaked to include ranged combat and the ability to summon creatures. There were even real-time puzzles in this version of the game that would count down in the dungeons themselves. The Destiny Knight is widely regarded as being too hard for most players. This wasn’t an intentional design decision – the developers admitted that the game probably was not play tested enough before release. While reviews were a bit more mixed that those of the original game, The Destiny Knight was largely considered to be a success. Thief of Fate was a huge step forward for the series, to say nothing of RPGs themselves. This game was the first to feature several features that are now considered standard in the genre. This is the first game to auto-map dungeons, and the first to have a truly robust save feature. With 84 dungeon levels, this was the largest game in the series thus far. The game did, however, have even more of a mixed reaction than its predecessors. It was far easier than the other two games, which made it more accessible than the rest of the series. Despite this, the game got middling reviews. The Construction Set is less of a game than it is a collection of tools to make games. It allows players to put together their own dungeon crawls using simplified versions of the same tools to make the The Bard’s Tale series. A sample scenario was included, but the bulk of the game was concerned with making custom games. As one might expect, this was not particularly well reviewed. It was recommended for those interested in game design, but not for players. This would be the last true game in the series for years. Bard’s Tale IV was a game born of the classic RPG crowdfunding boom. After seeing so many of The Bard’s Tale’s contemporaries coming back onto the scene, it seemed only logical that this series would be able to do the same. The fourth game is going to be a bit different than the older games. It will feature first-person dungeons crawling and significantly improved graphics. The game is likely to embrace quite a few new gaming mechanics while still staying relatively true to the original concept. The game is currently nebulously scheduled for a 2018 release date, though Kickstarter games are notorious for their late releases. The Mage’s Tale is a virtual reality game set in the same universe as The Bard’s Tale, but it’s not quite a proper sequel to the main series. It was one of the more anticipated titles in the VR realm for RPG fans and a huge gamble in terms of what it would be able to accomplish. The platform itself still suffered from being mostly a place to play novelties, so releasing a game connected to such a beloved property was something of a gamble. 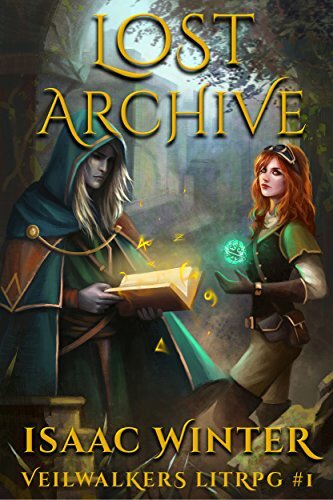 The Mage’s Tale was a little light on content compared to the rest of the series, but still very impressive for what it was able to accomplish. While the first The Bard’s Tale game was relatively light on story, it did create a universe that interested players. As the games went on, they became deeper and attracted players who were at least as interested in the story as they were in the game mechanics. After the series itself went dark, The Bard’s Tale lived on in the form of novels. Written by quite a few individuals who went on to be luminaries in the sci-fi and fantasy fields, these novels are worth a read even for those who weren’t huge fans of the game. Castle of Deception, by Mercedes Lackey and Josepha Sherman (1992): Following the tale of a Bard-in-training named Kevin, the novel had relatively little to do with the story of the game. With that said, it was still an exciting read and it kicked off a well-regarded series of novels. The book was a testament to how beloved the games were even years after the first was released. Fortress of Frost and Fire, by Mercedes Lackey and Ru Emerson (1993): A stand-alone sequel to Castle of Deception, this book followed the Master Bard Naitachal. The book features an adventure to an icy land and helps to flesh out the overall world of the series. Generally well received by fans and critics alike. Prison of Souls, by Mercedes Lackey and Mark Shepherd (1994): Naitachal returns to train the son of a king. 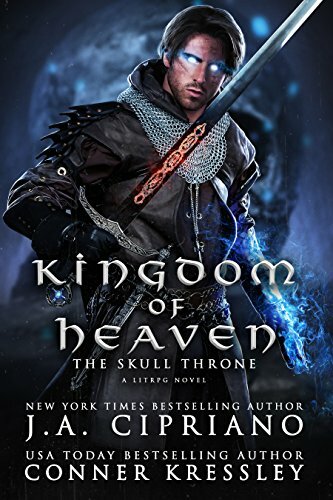 This book involves a diplomatic mission and a look into the politics of magic. Not a perfect book, but largely well-received. The last book in the series written by Lackey, though fans often assume that the author wrote the series as a whole. The Chaos Gate, by Josepha Sherman (1994): This book brings back both Naitachal and Kevin, who must now band together to defeat the Dark Elves who are coming after Naitachal. A good throwback to the original book in the series, especially as the books would soon take a new direction. Thunder of the Captains, by Holly Lisle and Aaron Allston (1996): A shipwreck leads an unlikely crew to try to survive. A story of politics, statecraft, and survival. Notable for moving away from the initial concept of the novels and starting them down a new path. Largely enjoyed by readers. Wrath of the Princes, by Holly Lisle and Aaron Allston (1997): A sequel to Thunder of the Captains. The characters of the former book return home to confront the forces that shipwrecked them. There’s a great deal of danger as forces are arrayed against them and they have to race against the clock to figure out what’s really going on. Escape from Roksamur, by Mark Shepherd (1997): Another new direction of the series. A return to diplomacy and low magic, the book follows a bard who happens to be the brother of the king. Half the fun of the journey is watching the main character trying to survive getting to the setting. Curse of the Black Heron, by Holly Lisle (1998): Izzy is the daughter of a famous bard. Now on her own and on the run, she’s at odds with a wicked ruler who has taken control of her country. The final novel in The Bard’s Tale universe. The Bard’s Tale was a fantastic game, one that certainly inspired gamers and developers for years to come. Though largely forgotten by younger members of the community, it still has a special spot in the history of gaming. From the novel series to the new VR game, it’s clear that The Bard’s Tale is never really going to go anywhere. It’s always good to see such a pillar of the gaming world stand strong, and it’s going to be interesting to see if the new game helps to shed some light on a series that helped to shape the history of an entire genre. Do You Love Gaming, Old Timer? 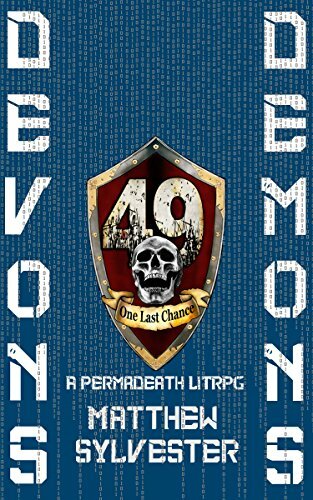 Head over the LitRPG Forum for more. …are sure to entertain. See you on the other side, adventurer.